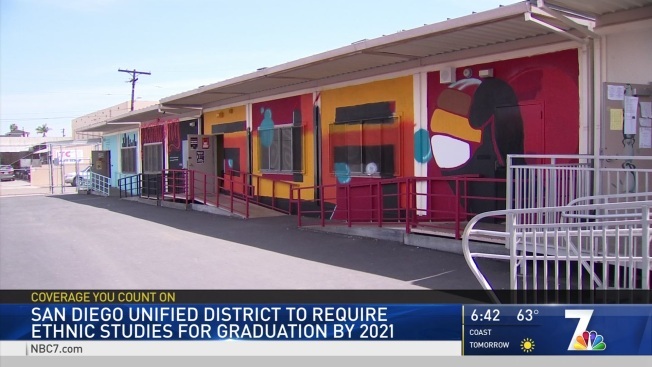 Students at San Diego Unified School District high schools will soon be required to take a new course to graduate. It’s called "Ethnic Studies," and it's a different way of looking at U.S. and world history. Hoover and Lincoln high schools are the only high schools in the district that currently offer ethnic studies. Both schools are in very diverse neighborhoods; Hoover’s student-body is almost 100 percent minority, with hundreds of immigrants from Asia and Africa. The Mid City high school first offered the ethnic studies course last semester. Freshman Evelyn Soto said she learned new information about the history of race and immigration in the United States. Sharon Apple, a Hoover High teacher who is qualified to teach Ethnic Studies, said students learn lessons that benefit them long after they graduate. “If you know about other people and other people's cultures, then you'll be able to work with them, because our world is not individualized, you always have to collaborate," Apple said. The school district’s board of education apparently agrees with that assessment. Board members voted 4-0 Tuesday night to make Ethnic Studies a required class for high school graduation, starting in the 2021-22 school year.